Band of Brothers is our Monday night men's gathering where men from Shepherd Church get together for a time of corporate worship, teaching, and a bible-led discussion. There's great power and fervor when men who are seeking the Holy Spirit for guidance and teaching, get together and seek God and the Holy Spirit's transformation together! 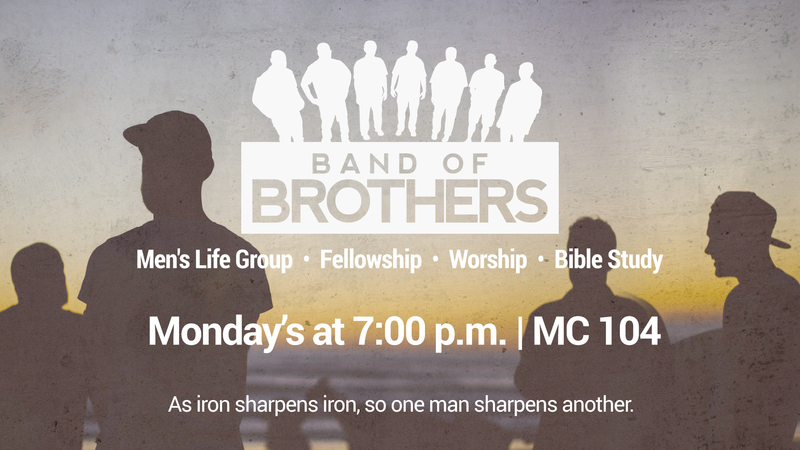 If you are interested in joining Band of Brothers on Monday nights at 7:00pm, please email lifegroups@theshepherd.org or call us at the church and ask to speak with someone on the Life Groups staff! We'd love to talk with you and invite you to join the worship, teaching, and fellowship on Monday nights at 7:00pm! Click here to register and receive an update about Band of Brothers!